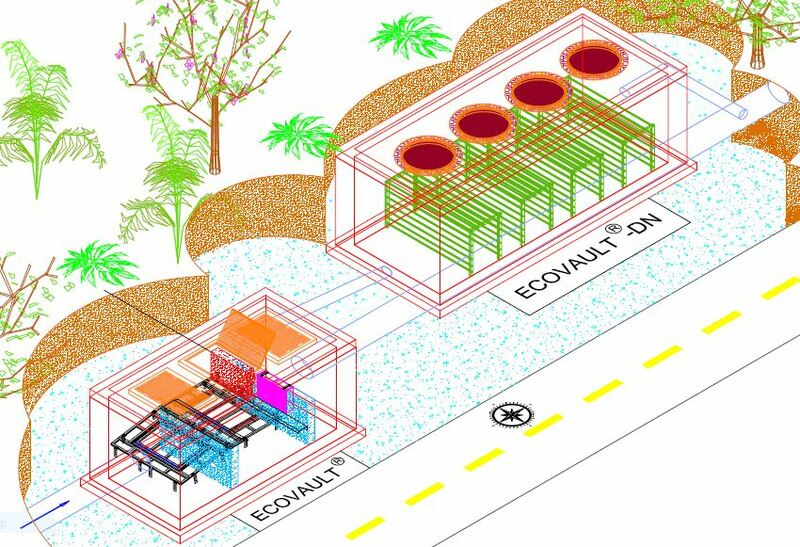 An example of an EcoVault-DN™ working in conjunction with a standard EcoVault® to maximize effectiveness of stormwater treatment. Nutrients, primarily nitrogen and phosphorus, are essential for the growth of all living organisms. Unfortunately, their excess in surface waters (lakes, streams, rivers) and ground waters has an adverse effect on both environmental and human health. Agricultural and stormwater runoff, airborne deposits, and constant urban development all contribute to high nitrogen loads. In surface waters, high nitrogen levels are responsible for algal blooms, which contribute to lower dissolved oxygen (DO) levels that negatively impact aquatic life. Algal blooms block sun rays from penetrating the water, which affects the growth of the underwater vegetation, altering the habitat and resulting in eutrophication of the entire body of water. Elevated nitrogen levels in drinking water raise serious human health concerns. 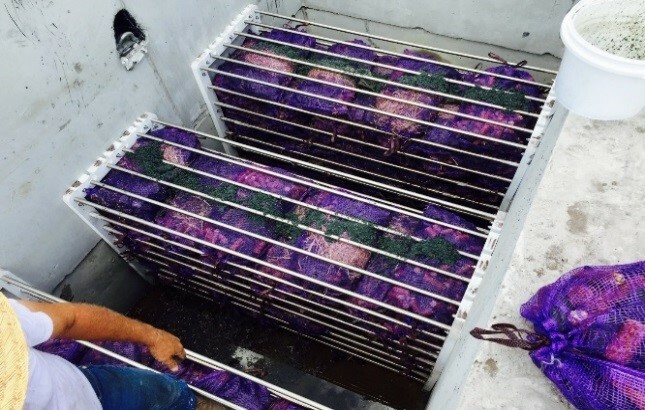 Denitrification – Conversion of nitrate into nitrogen gas, commonly by bacteria, that results in the escape of the nitrogen gas into the atmosphere. 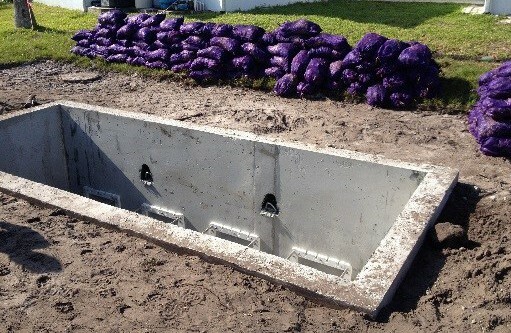 The EcoVault-DN™ is a precast concrete stormwater denitrification treatment structure. Nitrogen removal efficiency varies and depends from the flow rate and overall volume of the system. In contrast to other denitrification systems, the EcoVault-DN™ is designed to be easily cleaned of accumulated sediments. Multiple crossflow media beds are arranged with spacing for vacuum truck access and serviceability. Maintenance of the original hydraulic capacity is accomplished by simple spray flushing. Other systems consist of functionally inaccessible media beds which will clog over time and must be removed to be effectively cleaned.